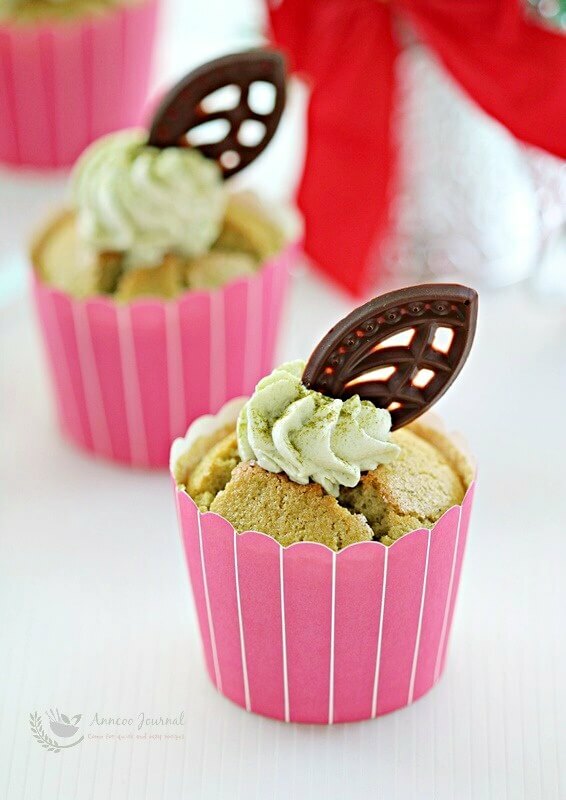 These delectable Matcha Hokkaido Cupcakes are light and soft. 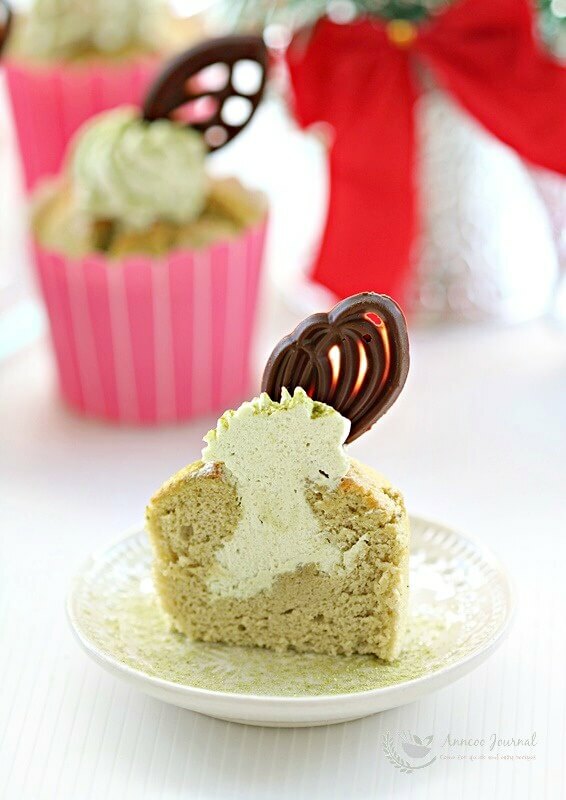 They are best served chilled and you’ll definitely reach out for another piece of this tiny, soft spongy chiffon cake. 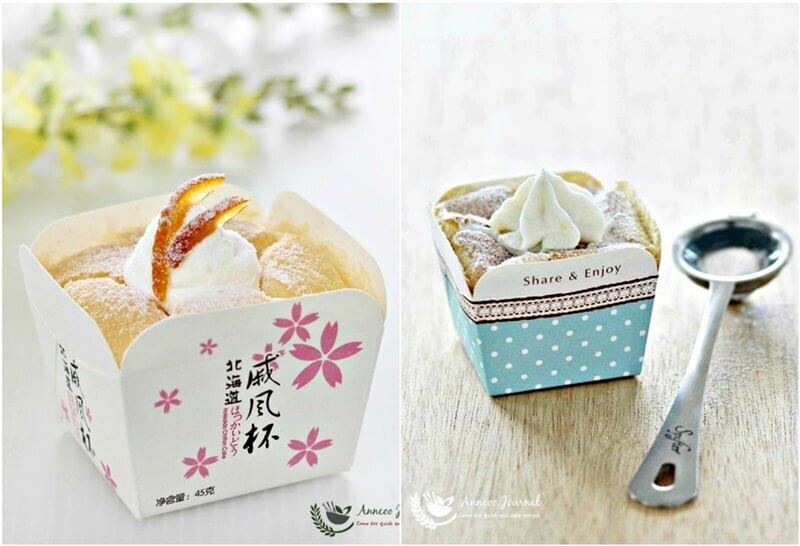 As usual, I like to mix some honey with the matcha powder as they do pair well and also enhances the fragrance and flavour of the cake as well as the creamy filling. 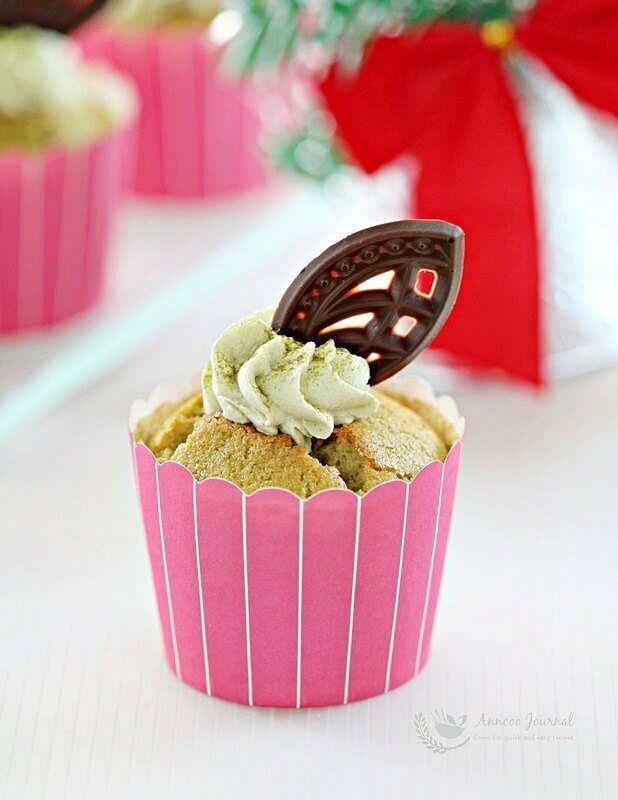 Since Christmas is in about three weeks time, why not add these yummy matcha cuppies to your baking list too! 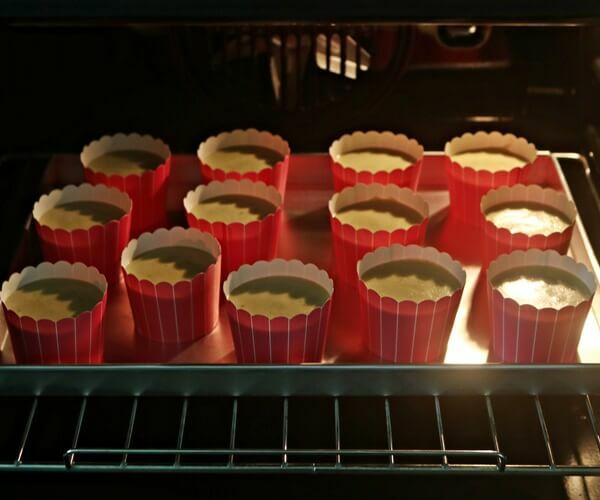 Preheat oven to 170 deg C. Arrange 13 cupcake liners on baking tray. Use hand whisk to whisk the egg yolks, honey and sugar till pale in colour. Add in corn oil and milk, mix well. Sift in flour and matcha powder in 2 batches into egg mixture, stir to combine. Take out ⅓ of egg white and mix into egg yolk batter with a rubber spatula. Fold in balance egg white till well combined. Scoop batter into paper liners to about ¾ full and bake for about 20-25 minutes at the middle rack of the oven. 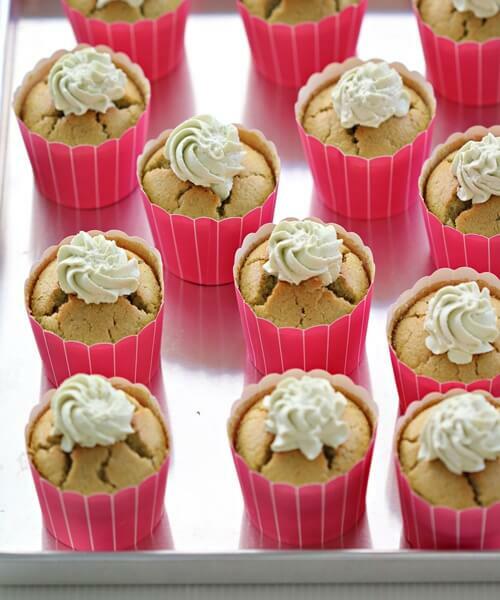 Remove cupcakes from the oven and tap them on tabletop to release the hot air and prevent shrinkage. Leave cakes to cool down completely before adding in the cream. Combine hot milk, sifted matcha powder and honey together, stir well and leave to cool. Whisk milk mixture and non-dairy whipping cream to near stiff peak form. Spoon cream mixture into piping bag and pipe into the center of the cake.Refrigerate the cuppies for a few hours. Dust with some matcha powder on top and decorate as desired before serving.